Internet sleuths are busy uncovering clues in the promos for season six of “American Horror Story.” Despite set photos that depicted the colonial settlement of Roanoke, people are leaning hard in the direction of a Manson Family theme. A screen shot from a season six teaser shows torturous tools dangling to spell out “PIG.” This is the same word Manson Family member Susan Atkins wrote in victim Sharon Tate's blood, on the front door of the crime scene. A promotional poster in which spiders crawl out from beneath a woman's eyelids also points to Charles Manson, who was known to create a veritable buttload of spider-inspired artwork in prison. Photos circulating online of both Evan Peters and Dylan McDermott are giving fans even more reason to suspect a '60s cult theme. 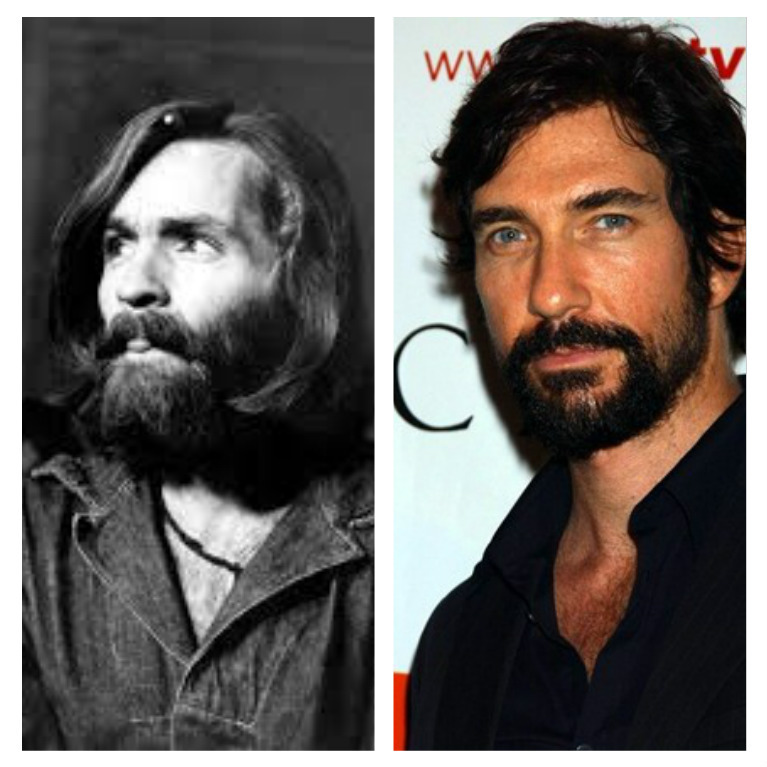 Perhaps creator Ryan Murphy plans to forge a connection between Manson's California desert commune and the North Carolinian colony of Roanoke, thus making some sense of the disjointed clues viewers have gathered so far. In a 2013 interview with Deadline, Murphy admitted his first choice for the storyline of season three of “American Horror Story” was not, in fact, New Orleans witches: It was the story of Charles Manson and his followers. There was a point last year in August where I was like, 'I want to do an entire season about the [Charles] Manson case.' But then we decided that wasn't respectful to the victims, and it's really hard to get life rights. So I went to the other idea, which was New Orleans witches that I've always been obsessed with. We might go back to the Manson thing in some regard one day. BUT IS TODAY THAT DAY, RYGUY? IS. TODAY. THAT. DAY? Vanity Fair suggested that the show's promotional image – featuring merely a red “6” – represented not only the number of the current season, but also the mark of the beast. If season six — or 666 — does revolve around a Satanic cult spanning the centuries, there is a rich history of American crime collectives for the show to explore. Imagine: The return of Taissa Farmiga to "AHS" as Susan Atkins. THAT'S A VERY JUICY ROLE, TAISSA. SO COME BACK. COME BACK AND DAZZLE US ONCE AGAIN. PLEASE. TAISSA. COME BACK.